Dunedin driver Steve Ross (McRae GM1) has a chance to stretch his already impressive 2014/15 MSC NZ F5000 Tasman Cup Revival Series points lead at the annual Skope Classic motor racing meeting at Christchurch’s Mike Pero Motorsport Park this weekend. Ross is one of eight drivers who have started all four previous rounds of this season’s trans-Tasman series but is the only one who has completed all 12 races in a top position, meaning he heads to Christchurch this weekend with a 74 point lead over Auckland driver Clark Proctor (March 73A/1) and a 119 point buffer on the first of the Australia-based series competitors, Paul Zazryn (Lola T332) from Melbourne. With no circuit in his home city, and his car based and maintained by Christchurch specialists Motorsport Solutions who are based at the track, Mike Pero Motorsport Park is very much Ross’ home circuit. The Dunedin earthmoving contractor has certainly enjoyed previous success at the track, including winning the Lady Wigram Trophy race in 2012. 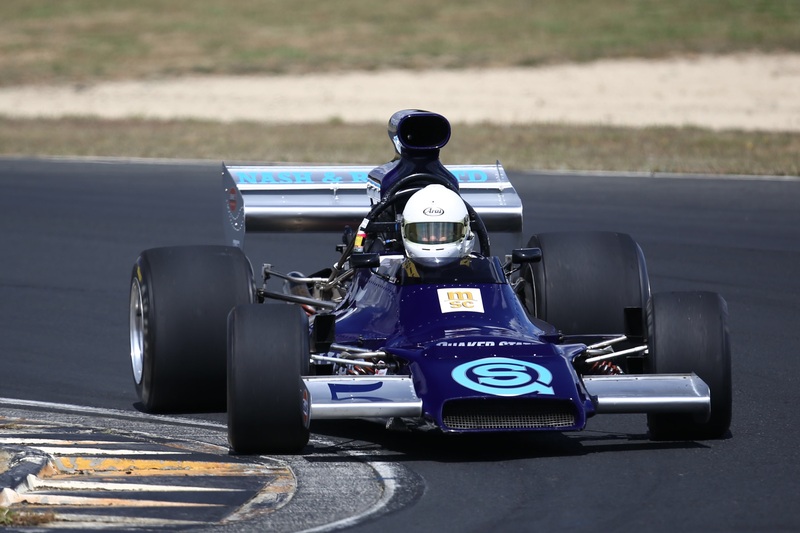 That said, he won’t exactly be lacking competition, despite early season points and series rival Clark Proctor (March 73A/1) an early scratching thanks to gearbox damage sustained at the second Gulf Oil Howden Ganley F5000 Festival meeting at Hampton Downs a fortnight ago. Paul Zazryn and fellow Lola T332 drivers Russell Greer, local man Ian Clements and Sefton Gibb from Napier, are all quick, as are Lola T330 driver Brett Willis from Rotorua, and Talon MR1 drivers Aaron Burson and David Banks from Auckland. Mix in UK-based series regular Greg Thornton in his newly rebuilt ex Peter Gethin Chevron B24/28, Aaron Burson’s father Peter and fellow Aucklander Alastair Russell in their McRae GM1s, and David Abbott from Christchurch in his Lola T430 and you have a recipe for some classic F5000 action across the three Mobil1 MSC series races – including Sunday afternoon’s 12-lap International F5000 feature race – at the Skope Classic meeting. The Mobil1 MSC F5000s join the Harold Heasley Saloons, Stanton Brothers Sports and GTs, PKMC Muscle Cars, Pat Hoare Formula Libres and NZ Pre-65s on a packed programme at the meeting this weekend. 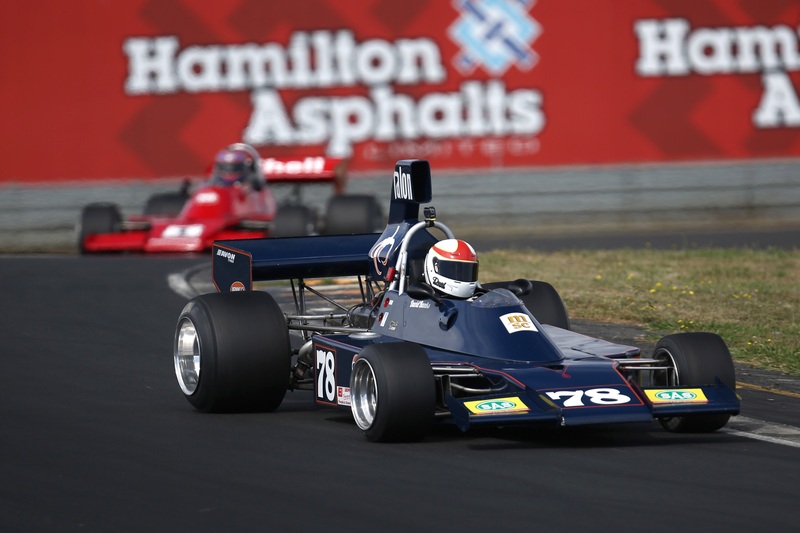 Dunedin’s Steve Ross (McRae GM1) is favourite in a 12-strong line-up set to contest the MSC NZ F5000 Tasman Cup Revival Series races at the annual Skope Classic motor racing meeting in Christchurch this weekend. Set to provide competition is Melbourne driver Paul Zazryn (Lola T332), and Talon MR1 driver David Banks (#78) and Aaron Burson (#1) from Auckland. Photo credit: Fast Company/Alex Mitchell.